Bistro du Midi, one of Boston’s finest dining destinations, experiences a renaissance. Bistro du Midi, one of Boston’s most celebrated French restaurants, announces an evolution in the restaurant’s concept, menu, management and design. Himmel Hospitality Group (HHG) has announced that they are now overseeing the daily operations of Bistro du Midi. HHG, who also owns and operates Grill 23, Post 390 and Harvest, has been a part owner of Bistro du Midi since it opened in 2009 and will now oversee management and day-to-day operations. The restaurant continues to be one of Boston’s only premier dining destinations to overlook the Boston Public Gardens and the team is eager to reinvigorate the already stellar restaurant. influences. 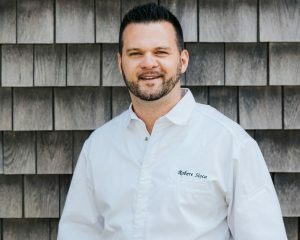 In his two years away from the restaurant, Chef Sisca worked for Rhode Island-based G Hospitality Restaurant Group operating Garde East on Martha’s Vineyard where he was able to hone his seafood techniques, engage with local farmers and fishermen, and introduce new cooking skills to his repertoire. Before coming to New England, Chef Sisca worked at the historic One if by Land, Two if by Sea in New York City prior to becoming Sous Chef at the renowned Le Bernardin. During his tenure Le Bernardin earned the coveted Michelin Three Star award and four stars from the New York Times. Chef Sisca opened Bistro du Midi in 2009 and is proud to return to the kitchen where he earned his initial accolades for epicurean excellence. Along with the return of Chef Sisca, Bistro du Midi is pleased to announce the addition of Federico Salvador as General Manager. Federico is a quintessential restaurant veteran who was most recently Service Director at the award-winning French restaurant, L’Espalier, and prior to that, held the position of General Manager for the Michelin-starred A Voce restaurant in New York City. He brings his warm sense of humor and gracious hospitality experience to the front-of-the-house team. honor and featured on the cover of the August 2017 issue. The wine list has been carefully curated by Callahan and Osbourne and paired perfectly to complement Chef Sisca’s dishes. Their selections represent the true soul of a bistro wine list where wine is part of every meal. The cocktail list combines modern takes on classics with fresh flavors and thoughtful combinations. The interior has received an updated look with new artwork and décor that brings the look and feel of Boston’s Public Gardens into the restaurant space. The artwork is comprised of one-of-a-kind commissioned works hand-selected for the space, including vibrant and lively pieces that bring a refreshed feel to the restaurant. The first-floor Bistro is a more casual and approachable space, while the second-floor Dining Room has a more sophisticated look. Fresh, colorful floral arrangements in elegant vessels are displayed throughout both floors. New changes also include the opportunity for lunch reservations to be made in advance and the opening of the second-floor dining room during lunch service to give guests a view of the Public Gardens while they enjoy lunch for both business and pleasure. The Bistro menu, offered at lunch and on the first floor at dinner, is a more approachable dining option with classic bistro dishes like moules frites, les croques, and some more nontraditional items like a bouillabaisse flatbread and a cacio e pepe flatbread. 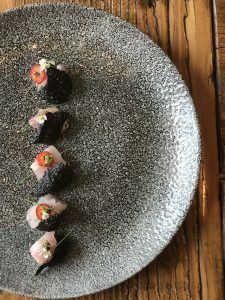 The Dining Room dinner menu, includes dishes like Chef Sisca’s cauliflower tartare; a black pepper chitarra with Scituate lobster, grapefruit and vanilla; and a black seabass with shiitake mushrooms and bok choy. There is also a daily Crudo Tasting available during dinner on both the Bistro and Dining Room menus. The Chef’s Tasting Menu is available at dinner with five-course and seven-course options from which Chef Sisca creates rotating dishes based on his whim and inspired by the best ingredients available throughout the seasons. As the season changes into spring, guests can expect even more additions to all menus, including desserts and cocktails. Bistro du Midi will continue to offer seasonal al fresco dining and is located at 272 Boylston Street in Boston’s Back Bay. The restaurant is open seven days a week from 11:30a until 10:00p and serves lunch, dinner and weekend brunch. For more information, please click here. Himmel Hospitality Group owns and operates four of New England’s top restaurants, Grill 23 & Bar, Harvest, Bistro du Midi and Post 390. 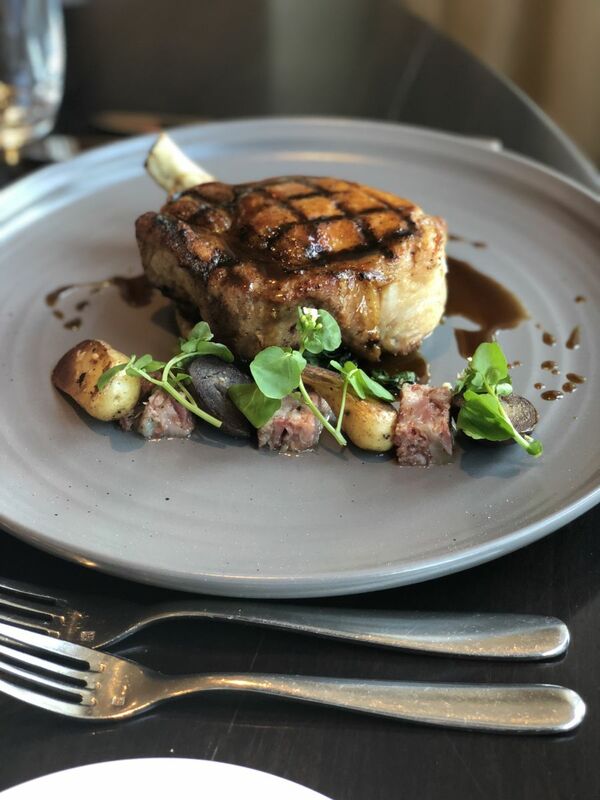 Founded by Ken Himmel and now overseen by his son Chris Himmel, the group is dedicated to delivering a world-class experience at each of its restaurants, including the highest quality food and service.